Stefano Savini (guitars), G.M. Matteucci (clarinets), S. Ricci (bass), M. Gazzoni (drums), M. Patricelli (piano on tr.7-8-9). Stefano Savini own recording for Silta Records comes 3 years after the release of NOPOP CD (SR0501). There is a strong link between the two CDs (most of musicians appeared in Nopop) but also differences: here Savini is handling the project with personality, playing his own compositions. The sound of the CD is an evolution of Nopop style, with italian-Jazz athmosphere and some ethnic influence, reminding somehow some soundtracks of the traditional Italian movies (Fellini for example). It has been some time since our stylistic labels have tended to “lose ink”, leaving only indefinite stamps of a system of cataloguing which nowadays has little to do with the extent of a wider and more all-inclusive cultural consciousness, as the multicultural and globalized one of our contemporary world. In a historical period which seems to be more and more outstretched towards both physical and inner never-ending horizons at an unceasing and frenzied pace, it appears natural to linger for a while and "take stock of the situation". The future seems boundless, due to scientific progress and new spiritual openings, however it is pleasant, sometimes, to stand still among the waves of the stream which wraps us up and caress us intrepidly, in order to be aware of ourselves, of who we are, and to realize from which stream we have arrived so far, in this here and now, which is so varied and coloured of intriguing and confusing stimuli. And then Stefano Savini, as a sensitive and skilled musician, seems to linger in a calm and amazed observation of his musical soul, which appears polychromatic and pastel-toned, sweet, delicate, maybe fragile, gentle, sometimes day-dreaming. 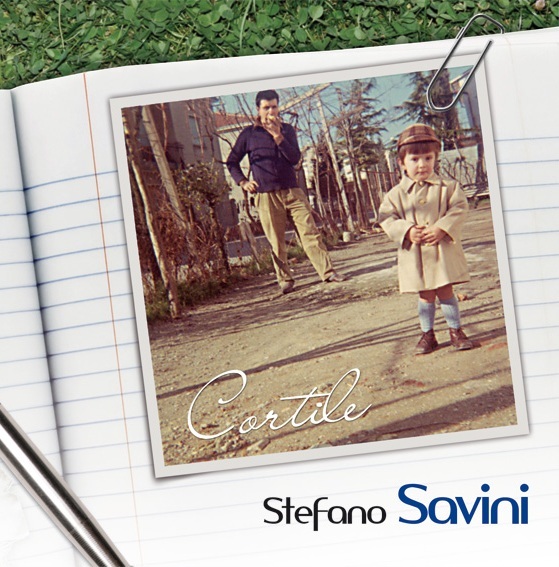 It seems to us that Savini is capable of guarding in his heart the memory of the "mother" sound of the Italian popular tradition, also spontaneously shot through with the European classical music excellence, infinite and refined heritage of the entire humankind. According to Stefano Savini jazz is like a comfortable and firm boat on which he can carry his creative and evocative melodies and let his music sail gracefully. And his boat indeed go with a peaceful and soothing tide, driven by light movements, as in suspended dance, between the waves and the sky, in full harmony with the air, the sun and the glitter of the waves which play at making us close our eyes and having us calmly swung among the notes.